Russian carrier Ural Airlines has consolidated its position as Russia’s four-largest carrier, with preliminary results for 2017 showing that passenger numbers were up by an impressive 24% to over 8 million last year. The Yekaterinburg-based operator is one of Russia’s largest and fastest- developing air carriers with new domestic, CIS, and international destinations expanding its route map every year. With Russian aviation hubs at Moscow (Domodedovo) and Yekaterinburg (Koltsovo), the airline’s annual passenger traffic has been increasing steadily; in 2013 it carried some 4.5 million passengers. Last year’s record performance saw more than 4.62 million customers transported domestically, nearly 1.3 million within the CIS area, and a further 1.89 million carried between Russia and other international destinations. A total of 55,681 flights were operated, including 32,993 domestic services, 11,959 international, and 10,729 within the CIS. Passenger turnover grew by 25% to 19.2 million passenger/kilometres, whilst cargo transportation was also up, enjoying an 11% increase. Five Airbus A320 family aircraft were added to the airline’s growing fleet last year. Currently, Ural Airlines’ 43-ship all-Airbus fleet consists of 23 A320s, 13 A321s, and seven A319s, all under operational lease agreements. There are plans to bring in seven more Airbus narrowbodies in 2018. Ithe carrier introduced several new routes last year: from Yekaterinburg to Kaliningrad, Krasnoyarsk, and Yakutsk domestically, and also to Warsaw, Venice, Catania, and Verona, among other international destinations. 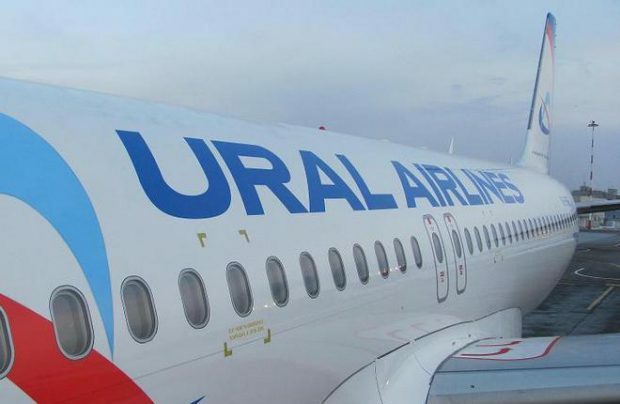 “Not only did the airline retain its prominent position in 2017 but, thanks to the well-coordinated work of all departments, competent management and planning, we also acquired new customers who chose Ural Airlines as a reliable and safe carrier,” offers Kirill Skuratov, the airline’s first deputy general director and CCO. The airline has come a long way since its humble beginnings in 1943 as Sverdlovsk United Aviation Squadron, with the base at Sverdlovsk Koltsovo Airport. In 1993, after the official separation of Sverdlovsk Aviation Enterprise into an airline and an airport, the Ural Airlines brand was established. Some 25 years on, employment now stands at 3,348 people, of whom more than 1,500 are cabin crew and 500 are pilots.